nó Pastime Chonamara, f/ch Máirtín Davy, Indreabhán, Co na Gaillimhe. Ádh mór, Máirtín Davy P.R.O. Siad Údaráis Áitiúla Lú atá ina bPríomh Urraithe don chéad Chomórtas Náisiúnta don Chrois Bhríde Tradisiúnta is fearr atá déanta le stuaim láimhe chómh maith le leagan gearr do scéal Bríde agus na Croise atá á reachtáil ag Pastime Chonamara, do scoileanna, nó daoine aonair agus daoine le riachtansaí speisialta mar chuid do ‘Bhliain na Gaeilge’ agus mar cheiliúradh ar bhua Náisiúnta Pastime Chonamara i gComórtas An Irish Rural Link. Siad Údarás na Gaeltachta urraithe an Chomórtais do Scoileanna Gaeltachta agus Gaelscoileanna agus siad Ionad Saoire Trabolgan urraithe do scoileanna seachas Scoileanna Gaeltachta agus Gaelscoileanna. Siad na nurraithóirí do na duaiseanna eile ná Nicolas O’Conchubhair Teo Homevalue, Tír na nÓg traditional Irish Pub and Restaurant, Glen Gat Guest House-Dún Dealgan , Aran Ferries, Fáilte Ireland,Cara Motor Homes, , Eagles Flying -Sligo, Barge Holidays – Grand Canal & Barrow River agus Great National Hotel and Resorts. 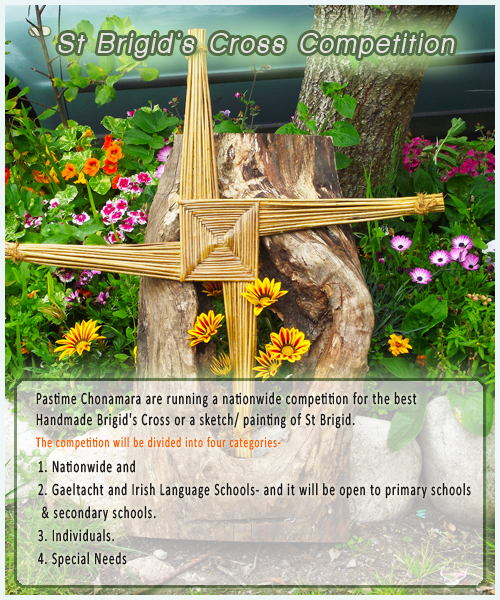 The competition is open until the 13th January 2014 and the winners will be announced on St Brigid’s Day the 1st February 2014! 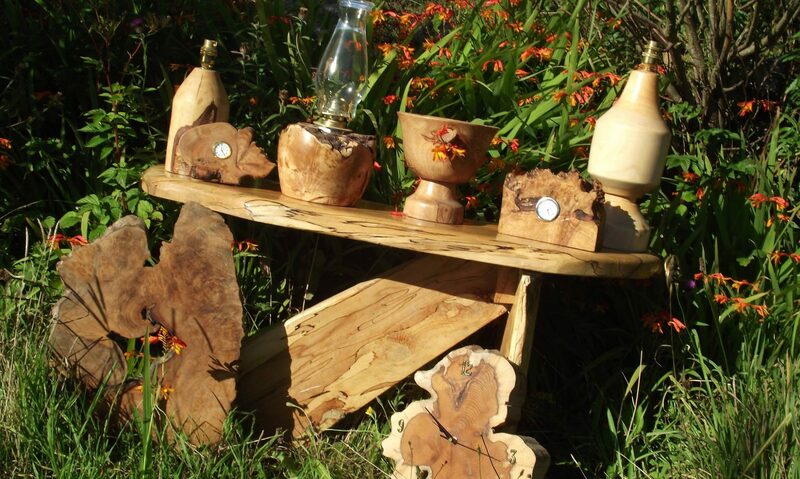 Louth Local Authorities are the Main Sponsors of the first National Competition for a Handmade Traditional St. Brigid’s Cross and the story of St. Brigid and the Cross. 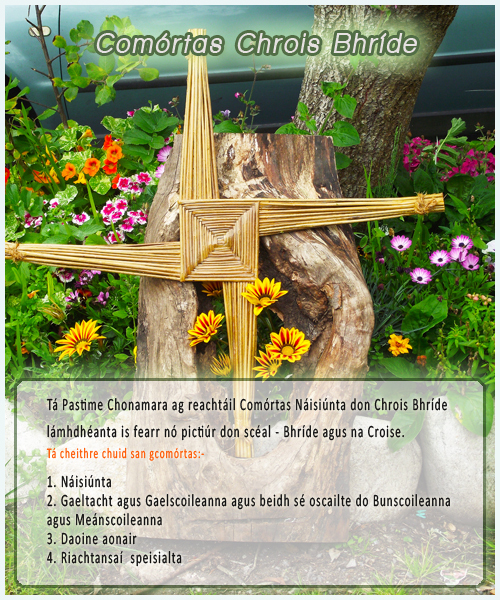 The competition is being organised by Pastime Chonamara as part of ‘Bliain na Gaeilge’ and to celebrate the National Award received by Pastime Chonamara from Irish Rural Link. Údarás na Gaeltachta are the Sponsors of the competition for Gaeltacht Schools and Gaelscoileanna and Trabolgan Holiday Village are Sponsors of the competition for all schools other than Gaeltacht Schools and Gaelscoileanna. Other sponsors are Nicolas O’Conchubhair Teo Homevalue, Tír na nÓgtraditional Irish Pub and Restaurant, Glen Gat Guest House-Dún Dealgan, Aran Ferries, Fáilte Ireland, Cara Motor Homes, , Eagles Flying -Sligo, Barge Holidays – Grand Canal & Barrow River and Great National Hotel & Resorts. Best of luck, Máirtín Davy P.R.O..
Tá duaiseanna na mbuaiteoirí urraithe ag Údaráis Áitiúla Lú , Údarás na Gaeltachta agus Ionad Saoire Trabolgan. The prizes are sponsored by Louth Local Authorities , Údarás na Gaeltachta and Trabolgan Holiday Center.